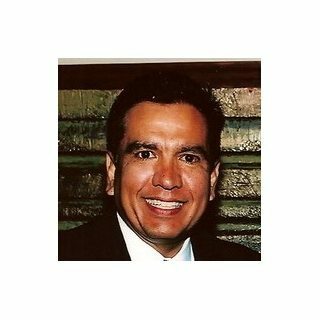 Eric Reyes has been practicing law in Texas since 1988. He is Board Certified in Personal Injury Trial Law by the Texas Board of Legal Specialization. Only 3% of all attorneys licensed to practice law in Texas are Board Certified in Personal Injury Trial Law. Additionally, Eric Reyes was selected in 2015 by the National Trial Lawyers Association as one of the "Top 100 Trial Lawyers " in Texas in the area of Civil Plaintiff Law. This is an honor extended to attorneys that exemplify superior qualifications, trial results, and leadership in their respective state. In addition to litigation skills, the Texas Board of Legal Specialization considers the character and fitness of the attorney before certifying the applicant as board certified. The Eric Reyes Law Firm, P.C. Spoke at seminar regarding the rights and remedies pursuant to the Texas Labor Code regarding workers compensation claims. ANNOUNCEMENT: On January 25, 2018, the Texas Bar College Welcomes their New Member! AUSTIN – The Texas Bar College congratulates Eric Reyes on his membership in the College. Eric Reyes is the owner of the Eric Reyes Law Firm, P.C. He is double board certified in Personal Injury and Civil Law. The Texas Bar College, is an honorary society of lawyers, created by the Supreme Court of Texas in 1981, to recognize and encourage attorneys who maintain and enhance their professional skills and the quality of their service to the public by completing at least double the required hours of continuing legal education each year. The College also sponsors and assists in educational activities of significant merit, relevance, applicability to the legal profession. The Texas Bar College is an honorary society of lawyers who are possess both high ethical standards and improved education.